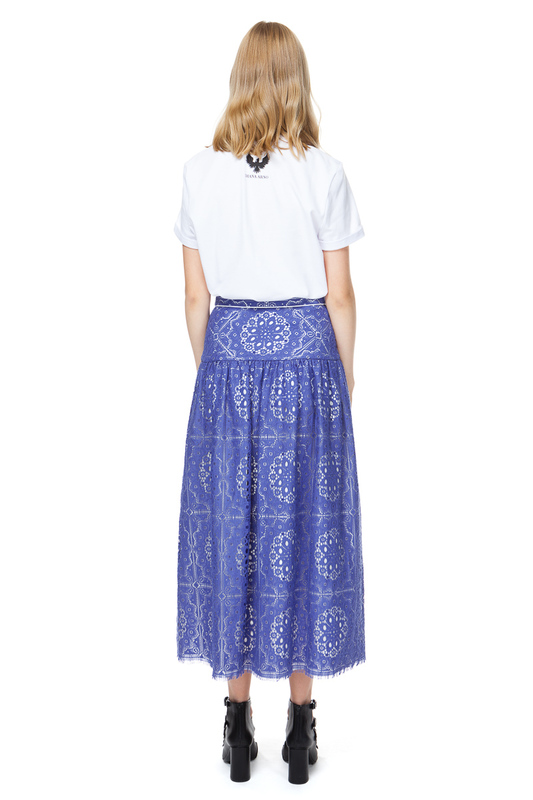 Lace midi skirt in deep-sea blue with contrasting trim and a row of white buttons that add sophisticated punctuation. This simple silhouette turns romantic lace into a timeless summertime classic. Wear yours with a white blouse and heeled sandals for the evening or go for a cheerful day look styling it with a tee and sneakers.